Going through pregnancy, labor and delivery is a very exciting experience. During this joyous time, parents hope that nothing occurs that can affect the health of their baby. Most of the time, babies are born healthy. But when something goes wrong around the time of a child’s birth, the consequences can be devastating. Birth injuries can be caused by many different types of complications that occur around the time of delivery. Often, these complications involve umbilical cord problems, such as the cord being wrapped around the baby’s neck (nuchal cord), a placental abruption or uterine rupture, or brain bleeds caused by vacuum extractor use. Birth injuries and birth trauma can usually be avoided if the medical team follows standards of care, closely monitors the baby’s heart rate, and quickly delivers the baby when she is in distress. We have written extensively about pregnancy and birth complications that can cause serious harm to the baby if the medical team fails to follow standards of care. In certain cases, early delivery of a baby is required in order to avoid birth injuries, such as hypoxic ischemic encephalopathy (HIE) and cerebral palsy. Placenta previa: This is when the placenta grows so close to the opening of the uterus it partially or completely blocks the mother’s cervix (or “cervical os”), which is the opening to the birth canal. This can lead to severe bleeding and hemorrhaging if mismanaged. Due to the risks associated with placenta previa, delivery should take place when the baby’s gestational age is 36 – 37 weeks. If there are additional complicating factors, such as intrauterine (fetal) growth restriction (IUGR/FGR), preeclampsia, etc., delivery may need to occur earlier. The mother had a prior classic C-section, with an upper segment uterine incision. In this case, the baby should be delivered at 36 – 37 weeks. If there are other complicating issues, such as IUGR/FGR, preeclampsia, etc., an earlier delivery may be required. Intrauterine (fetal) growth restriction (IUGR/FGR) when mother is pregnant with one baby. When IUGR/FGR is present and there are no other complicating factors, delivery should occur at weeks 38 – 39. If additional complications exist (oligohydramnios, abnormal Doppler studies, maternal risk factors, the presence of 2 or more chronic conditions), delivery should take place at weeks 34 – 37. Immediate delivery is indicated regardless of gestational age if there is persistent abnormal fetal testing suggesting imminent fetal jeopardy. Intrauterine (fetal) growth restriction (IUGR/FGR) when mother is pregnant with twins. When the mother is pregnant with dichorionic-diamniotic twins and there is isolated IUGR/FGR, the baby should be delivered at 36 – 37 weeks. If the mother is pregnant with monochorionic-diamniotic twins with isolated IUGR/FGR OR has additional complications (oligohydramnios, abnormal Doppler studies, maternal risk factors, the presence of 2 or more chronic conditions), delivery should occur at 32 – 34 weeks. Expeditious delivery is indicated regardless of gestational age if there is persistent abnormal fetal testing suggesting imminent fetal jeopardy. Immediate delivery is required regardless of gestational age if 1.) intervention is expected to be beneficial, 2.) fetal complications develop (abnormal fetal testing, new-onset hydrops fetalis, progressive or new-onset organ injury, or 3.) Maternal complications develop (mirror syndrome). Multiple gestations: dichorionic – diamniotic. In this situation, the baby should be delivered at 38 weeks. If there are additional complicating factors, such as (IUGR/FGR), preeclampsia, etc., an earlier delivery may be indicated. Multiple gestations: monochorionic – diamniotic. In this scenario, delivery should take place at 34 – 37 weeks. If there are additional complicating factors, such as (IUGR/FGR), preeclampsia, etc., delivery may need to take place at an earlier date. Multiple gestations: dichorionic – diamniotic or monochorionic – diamniotic with single fetal death. If the death occurs at or after week 34, consider delivery. This recommendation is limited to pregnancies at or after week 34; if the fetal death occurs before the 34th week, delivery is individualized based on concurrent maternal or fetal conditions. If there are additional complicating factors, such as (IUGR/FGR), preeclampsia, etc., an earlier delivery may be indicated. Multiple gestations: monochorionic – monoamniotic. In this situation, the baby should be delivered at weeks 32 – 34. If there are additional complicating issues, such as (IUGR/FGR), preeclampsia, etc., delivery may need to occur at an earlier date. Multiple gestations: monochorionic – monoamniotic with single fetal death. In this case, delivery should be considered, with timing individualized according to gestational age and concurrent complications. If additional complicating issues exist, such as (IUGR/FGR), preeclampsia, etc., an earlier delivery may be indicated. Oligohydramnios (low amniotic fluid). If the condition is isolated and persistent, delivery at 36 – 37 weeks is indicated. If there are additional complicating issues, such as (IUGR/FGR), preeclampsia, etc., delivery may need to occur at an earlier date. Chronic maternal high blood pressure (hypertension) & the mother is not being treated with medication. In this situation, delivery should occur at week 38 – 39. If additional complicating issues are present, such as (IUGR/FGR), preeclampsia, etc., an earlier delivery may be indicated. Chronic maternal hypertension controlled with medication. This condition requires a delivery at weeks 37 – 39. If there are additional complicating issues, such as (IUGR/FGR), preeclampsia, etc., delivery may need to occur at an earlier date. Severe preeclampsia. Preeclampsia is a multi-system disorder characterized by hypertension and either protein in the urine or end-organ dysfunction that occurs in the last half of pregnancy. This condition requires that delivery take place as soon as the mother is diagnosed, as long as the pregnancy is at 34 weeks or later. If additional complicating issues exist, such as (IUGR/FGR), an earlier delivery may be indicated. Mild preeclampsia. When the mother has mild preeclampsia, the baby should be delivered at 37 weeks. If there are additional complicating issues, such as (IUGR/FGR), an earlier delivery may be indicated. Gestational diabetes that are well-controlled either with diet or medication. Late preterm birth or early term birth is not recommended for this situation. However, if additional complicating issues exist, such as (IUGR/FGR), preeclampsia, etc., an earlier delivery may be indicated. The mother had a previous unexplained stillbirth. Late preterm birth or early term birth is not recommended for this situation. Amniocentesis for fetal lung maturity should be considered if delivery is planned at less than 39 weeks. If additional complicating issues exist, such as (IUGR/FGR), preeclampsia, etc., an earlier delivery may be indicated. The mother had a previous spontaneous preterm birth and is currently experiencing preterm premature rupture of the membranes. When this occurs, the baby can be delivered if her gestational age is 34 weeks or older. If there are additional complicating issues, such as (IUGR/FGR), preeclampsia, etc., an earlier delivery may be indicated. Obstetricians must be aware of these guidelines and follow these standards of care. Failure to deliver a baby before term when there are maternal or fetal complications necessitating an early delivery can cause the baby to have birth injuries, such as hypoxic ischemic encephalopathy (HIE), periventricular leukomalacia (PVL), permanent brain damage, cerebral palsy, seizures, and intellectual and developmental disabilities. In addition to being aware of conditions that require an early delivery in order to prevent birth injuries, expecting parents should ask potential obstetricians certain questions in order to further ensure a safe and healthy pregnancy and birth. Preventable medical error is an epidemic and these errors are responsible for over 400,000 deaths a year and millions of injuries annually. In order to help ensure a safe pregnancy, labor and delivery, it is very important to choose a hospital that has protocols in place to help ensure the health of each mother and baby. Equally important is choosing an obstetrician and medical team that have skill and experience. Will my baby have continuous electronic fetal heart rate monitoring? Continuous heart rate monitoring will help the medical team be aware of any distress the baby is experiencing. Is there proper resuscitation equipment (and a team if necessary) immediately available in case my baby needs to be resuscitated and/or intubated at birth? Intubation is when a tube is placed in the baby’s upper airway to help her breathe. In addition to proper fetal monitoring, the mother must also be properly monitored. A mother’s blood pressure, heart rate, and physical signs (such as abdominal and back pain and lack of fetal movement) can give important information regarding impending or current fetal distress. When a baby is showing signs of distress on the fetal heart rate monitor, it means she is experiencing a lack of oxygen in her brain. When this occurs, the baby must be delivered quickly by emergency C-section (in most cases) to prevent brain damage and HIE. Informed consent must be given by the mother for all procedures. This means that the use of risky delivery instruments, such as forceps and vacuum extractors, as well as the potentially dangerous labor drugs Pitocin and Cytotec, must be fully explained to the mother. The option of a C-section must also be explained. Thorough explanations include the risks and benefits of – as well as the alternatives to – each procedure. If you are seeking the help of a medical malpractice lawyer for your child, it is very important to choose a lawyer and firm that focus solely on birth injury cases. 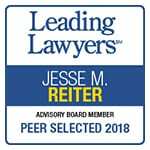 Reiter & Walsh ABC Law Centers is a national birth injury law firm that has been helping children with birth injuries since its inception in 1997. If your child was diagnosed with a birth injury, such as cerebral palsy, a seizure disorder or hypoxic ischemic encephalopathy (HIE), the award winning Michigan medical malpractice lawyers at ABC Law Centers can help. We have helped children throughout the country obtain compensation for lifelong treatment, therapy and a secure future, and we give personal attention to each child and family we represent. Our national birth injury firm has numerous multi-million dollar verdicts and settlements that attest to our success and no fees are ever paid to our firm until we win your case.